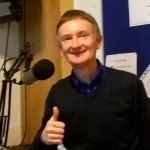 Mike Melvin is co-presenter on ‘So Why Don’t You...?’ and is also a co-ordinator at ACVO-Aberdeen’s Third Sector Interface which has responsibility for volunteer development in Aberdeen. 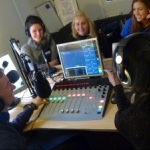 Mike has more than 20 years experience of volunteering and brings his in-depth knowledge to the listeners of SHMUfm as 'Mike on the Mic'. An hour long weekly stroll through the interesting world of volunteering and the voluntary sector for just about anyone, young or old, looking to be more of an active citizen and wishing to make that wee bit of a difference within their local community.